Summary: A new study reveals minocycline, a popular antibiotic, can help extend lifespan and improve protein balance in ageing worms. Researchers say the protective mechanism of the medication could be exploited to help prevent neurodegenerative diseases like Alzheimer’s or Parkinson’s in humans. Source: eLife. An antibiotic, minocycline, can increase the lifespan of roundworms by preventing the build-up of proteins during ageing, a study in the open-access journal eLife reports. 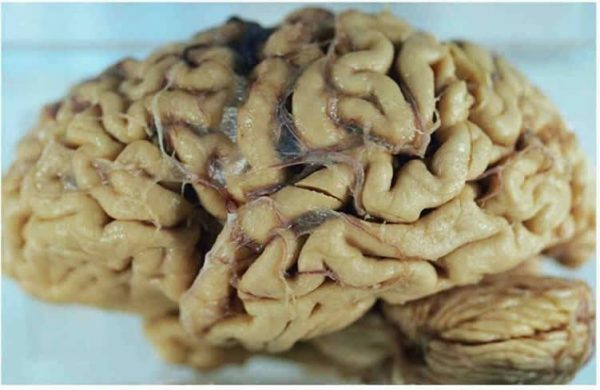 Protein aggregation causes several progressive age-related brain diseases, including amyotrophic lateral sclerosis, Alzheimer’s, Parkinson’s and prion disease. This study shows that minocycline prevents this build-up even in older animals with age-impaired stress-response pathways. When they used a chemical probe to see how minocycline affects the major protein-regulating molecules in the cell, it revealed that minocycline directly affects the protein-manufacturing machinery of the cell, known as the ribosome. This was true in worms, as well as mouse and human cells. NeuroscienceNews.com image is in the public domain. Funding: Funding provided by Lawrence Ellison Foundation, National Institutes of Health, National Science Foundation, Glenn Foundation for Medical Research. Original Research: Open access research for “Translation attenuation by minocycline enhances longevity and proteostasis in old post-stress-responsive organisms” by Gregory M Solis, Rozina Kardakaris, Elizabeth R Valentine, Liron Bar-Peled, Alice L Chen, Megan M Blewett, Mark A McCormick, James R Williamson, Brian Kennedy, Benjamin F Cravatt, and Michael Petrascheck in eLife. Published November 27 2018.